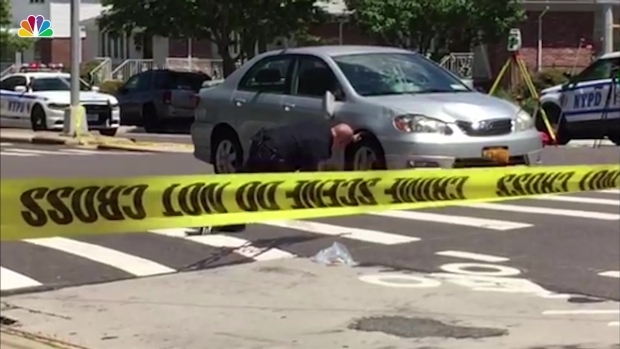 An 88-year-old woman is facing three charges in a Queens crash that killed a 17-year-old girl. Marc Santia reports. 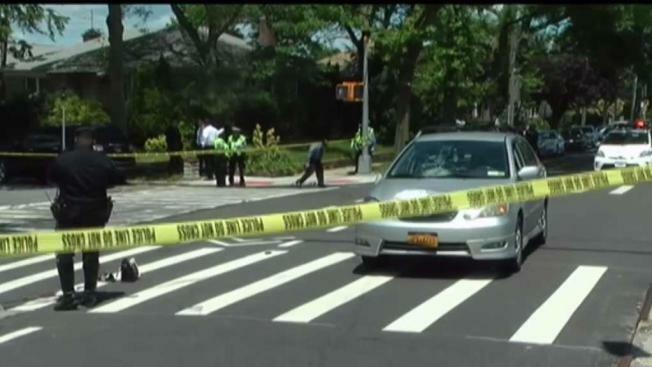 An 88-year-old woman behind the wheel of a sedan struck and killed a 17-year-old girl in a Queens crosswalk Monday, and is now facing charges in the deadly crash, authorities say. The elderly woman, identified by police at Sheila Kahn-Prager of Queens, was driving southbound on Utopia Parkway near 16th Avenue in Whitestone when she hit the girl around 10:30 a.m., in front of P.S. 209, according to police. Footage from the scene showed heavy damage to the windshield of the vehicle. The teenager, identified as Madeline Shershen of Queens, was taken to a hospital, where she was pronounced dead. The elderly driver was seen being led from the scene by detectives. Parents in the neighborhood were in shock. An 88-year-old woman behind the wheel of a sedan struck and killed a 17-year-old girl in a Queens crosswalk Monday, authorities say. "It's a teenager, and she ended up losing her life. It's something very, very sad," one resident said. Kahn-Prager has been charged with failure to yield to a pedestrian, violation of a traffic device (red), and failure to exercise due care, police said. Attorney information for the woman wasn't immediately clear.